In this tutorial, I will discuss generate unique password using PHP function. Nowadays the security of user’s data is the most important part in web development. There are too many ways which are used for making user’s information secure. Secure password of the user’s account is the most important one among all of theme. For that, I have to make our password string strong and unique. If your password is weak and easy then the hacker can easily get that using brute force attack. So that I have created one PHP function for generating a unique password very easily. All the PHP developers can easily set up in their project and use it very well manner. I will show you how to setup PHP function and how you can use it in your project. 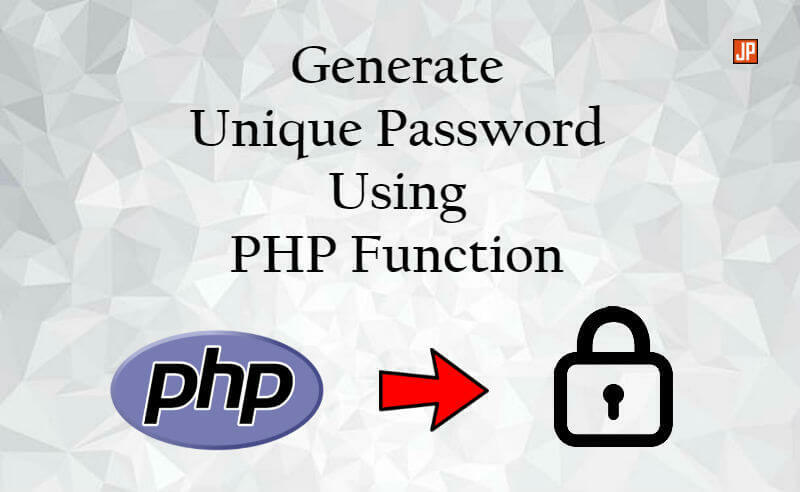 Here is the main PHP function code for generate unique password. In this function I have used four type of charecters. Numeric, Alpha numeric, Integer and Special charecters. Special charecters make password string very strong. You can copy the function code and paste it in your “function.php” or “header.php” files. So that you can use this function in your whole project anywhere you want. You just need to call the function. How to call the function? check the next step. Now after the implementation of PHP function you can use this function anywhere you want in your project. Just follow the below instructions. Now you can generate unique password using PHP function. All the steps are very easy to understand and the implementation of the function is also very easy.